If you have a gift to share with the world, if you want to build something big, if you want to share what you have in an effective way, you need to learn how to launch a product. There is magic in a well-designed book launch. In this new video, Jeff Walker — aka the Product Launch King — describes three ways to launch your book, product, or service. Jeff Walker's students have done hundreds of millions of dollars in business and product launches... so when he talks, I listen. Now he's just released an awesome new training video - and it's free as part of his Launch Workshop. You'll learn what's working now if you want to launch a new product, service, or even entire business. Do you want to know the secrets of the Bestselling Authors down the street? The documented strategies that worked for the following bestselling authors? Check out this webinar I'll be giving on Saturday afternoon. If you would like to advertise in the new Real World edition of 1001 Ways to Market Your Books, you have to get your ad in within the next 8 days or you won't get in? Join me in the God Bless You Revolution! Ellen Finkelstein of Change the World Marketing will be interviewing me in a free webinar this Wednesday, July 20th. As you know I'm the author of 1001 Ways to Market Your Books and mentor to authors who have sold over a billion books. Over the past 30 years, I've helped thousands of authors, major celebrities and those just starting out, to sell more books! The topic is "Pinterest Power: Getting Big Traffic with Pinterest." 51 Free Ways to Help a Book Author You Love: 51 ways for those who love you to share you and your book! 51 Ways to Help a Book Author You Love. 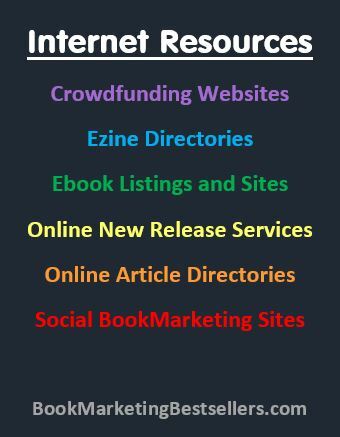 - http://bookmarketingbestsellers.com/36-ways-to-help-a-book-author-you-love. Features 51 ways to help! Here are the top 10 book marketing blog posts from this website and a few other related sites . . .